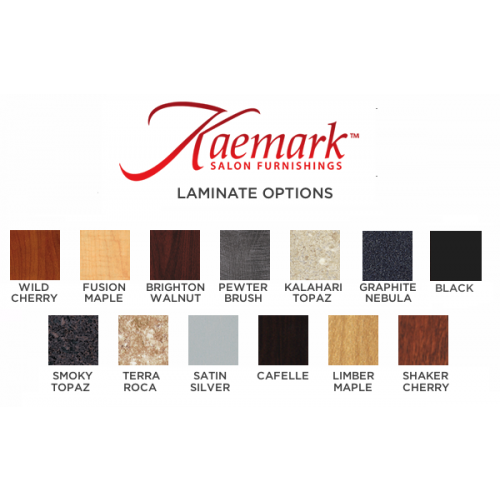 Kaemark ELLIPSE System "B" Desk: Kaemark Salon Furnishings understands how important FIRST IMPRESSIONS are to draw in clientele. System includes: One EP-40-90 and one EP-40-42 with 2 End panels. EP-40-42 is mounted on right of EP-40-90. EP-40-90 includes one locking cash drawer and cord grommet. 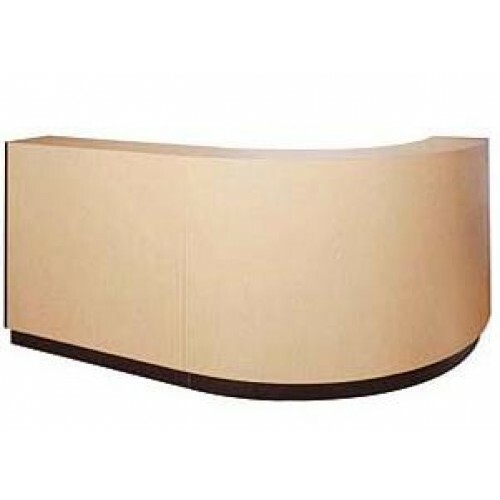 Dimensions: L 90" x D 48" x H 42.5"